In a fast-paced hour, we’ll look at a myriad of topics that you may or may not be thinking about when looking to generate business—RFPs, alternative fee arrangements, multi-state practices, making the ask, industry knowledge, pricing, board involvement, writing and speaking, social media, professional organization involvement, referral sources, relationship building, moving firms—and the right and wrong ways to go about them. How do we hit all of those topics in one hour? You got me. But we’ll try. Our panel represents the perspectives of attorneys coming from different places, including an ethics attorney (that would be me), young lawyer (unfortunately not me), private practitioner, and in-house counsel. This interactive program promises to be educational and entertaining as it helps attendees improve and safeguard their client development skills. Associate, Dowd Bennett LLP, St. Louis, MO. 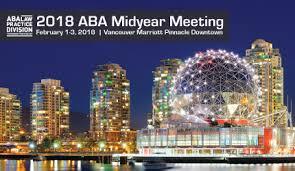 For more information, please visit the ABA website or contact me.